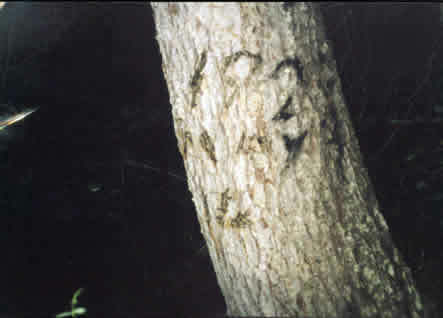 The top two photos are carved trees from Vital Creek area. 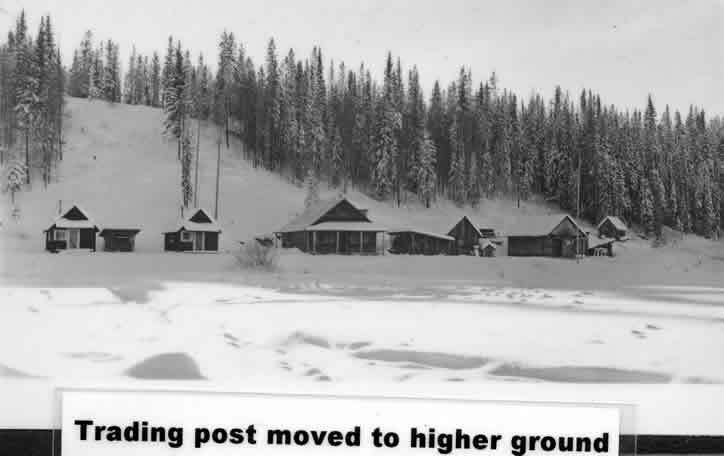 The lower top photo are old cabins from Vital Creek. 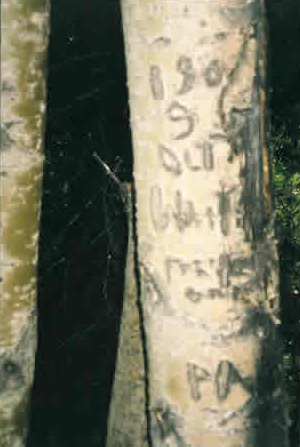 The upper left is the earliest photo of Germansen Landing. 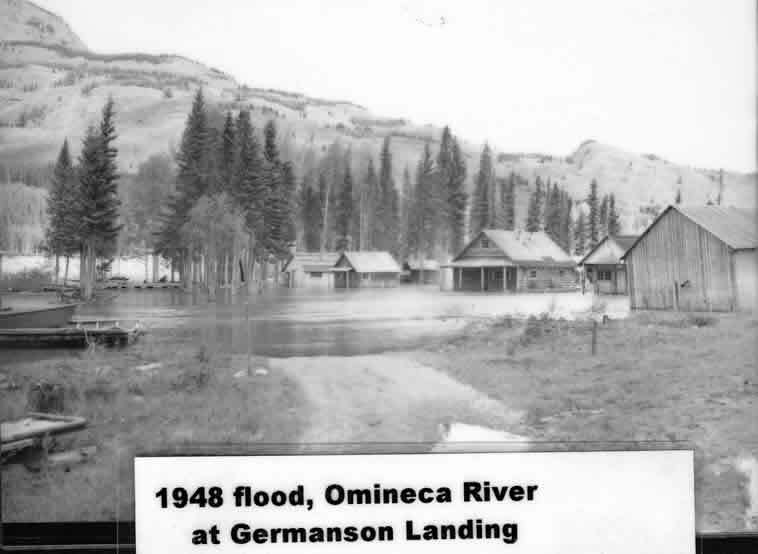 The freight that came down the Omenica River from Vital Creek, was unloaded at Germansen Landing. Then it was loaded onto horses and mules to be hauled to Germansen town or Manson Creek. 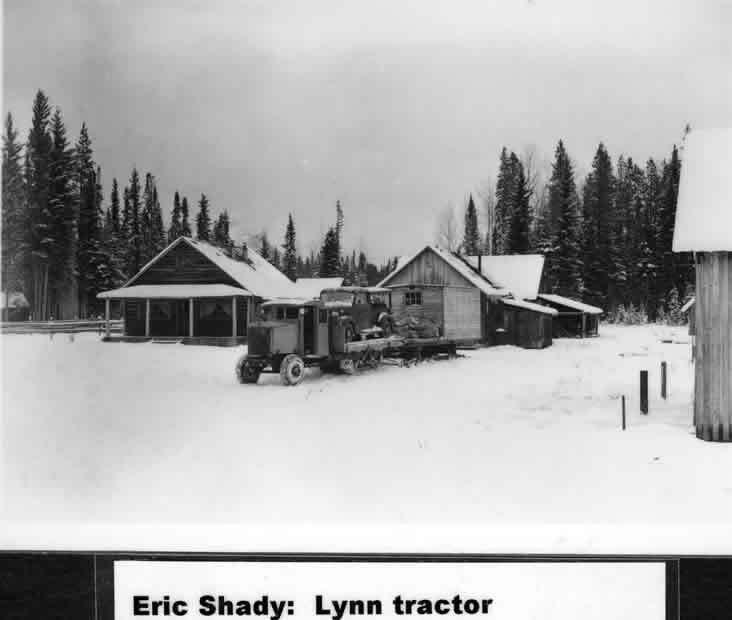 Other photos are pre flood, during the 1948 flood, and after the building were moved to a higher area. 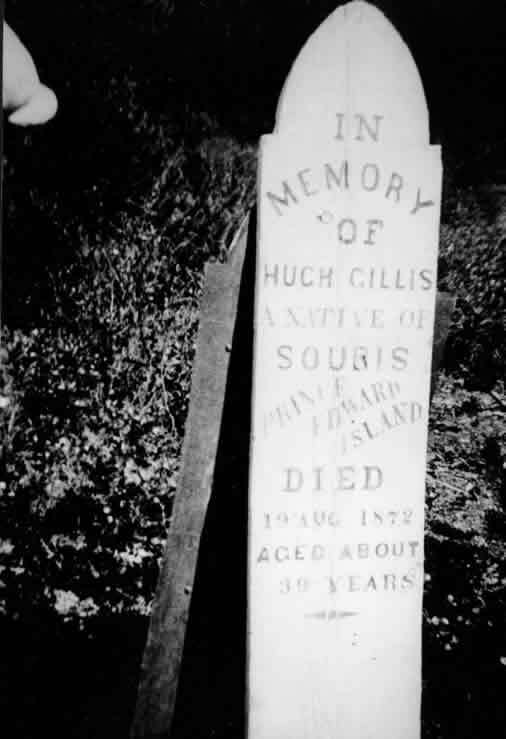 Upper left is Gillis grave on Baldy trail, next photo is grave of John Roberts. 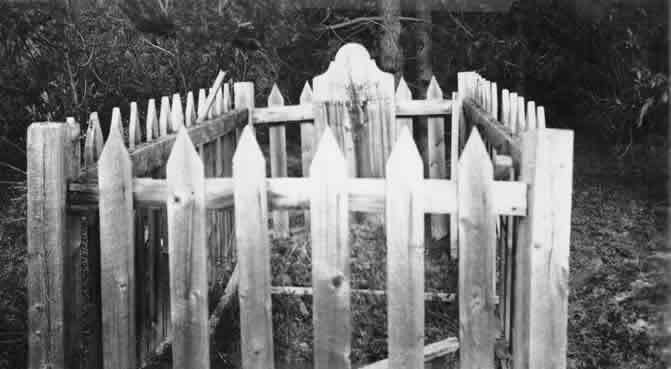 While the graveyard in Manson Creek is now protected and restored, many graves are scattered around our community. Upper left is a sawmill on the Germansen River. Next is a small mill at Twin Creek. 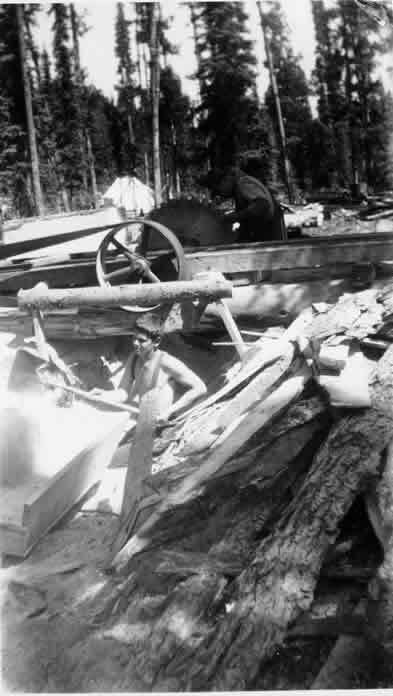 Lumber was needed for flumes, sluices and buildings. 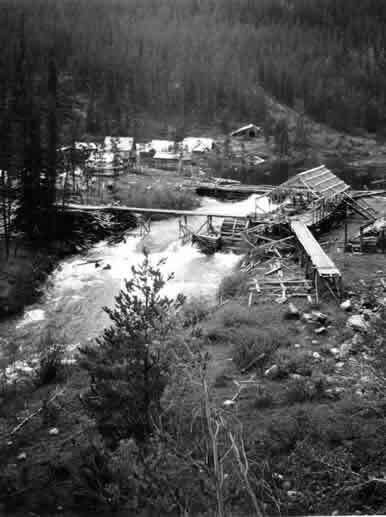 Some of the sawmills were on the Germansen and Omenica Rivers and another was on Mill Creek at the base of Baldy Mountain.